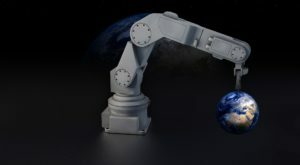 The new World Robotics Report by the International Federation of Robotics shows that 381,000 units were shipped globally in 2017, an increase of 30 percent compared to the previous year. This means that the annual sales volume of industrial robots increased by 114 percent over the last five years (2013-2017). The sales value increased by 21 percent compared to 2016 to a new peak of US$16.2 billion in 2017. “Industrial robots are a crucial part of the progress of manufacturing industry – said Junji Tsuda, President of the International Federation of Robotics -. Robots evolve with many cutting-edge technologies. They are vision recognition, skill learning, failure prediction utilizing AI, new concept of man-machine-collaboration plus easy programming and so on. They will help improve productivity of manufacturing and expand the field of robot application. 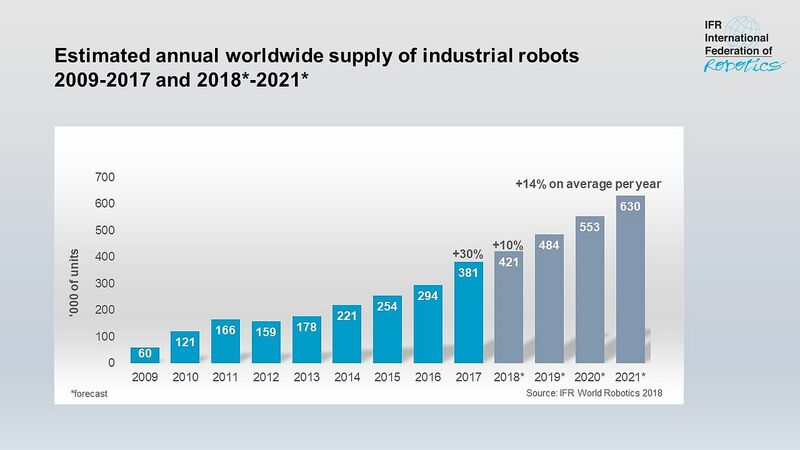 The IFR outlook shows that in 2021 the annual number of robots supplied to factories around the world will reach about 630,000 units”. There are five major markets representing 73 percent of the total sales volume in 2017: China, Japan, South Korea, the United States and Germany. As regards to the use sectors, the electrical/electronics industry has been catching up with the auto industry: sales increased by 33 percent to a new peak of 121,300 units – accounting for a share of 32 percent of the total supply in 2017. The rising demand for electronic products and the increasing need for batteries, chips, and displays were driving factors for the boost in sales. The need to automate production increases demand: robots can handle very small parts at high speeds, with very high degrees of precision, enabling electronics manufacturers to ensure quality whilst optimising production costs. The expanding range of smart end-effectors and vision technologies extends the range of tasks that robots can perform in the manufacture of electronic products.